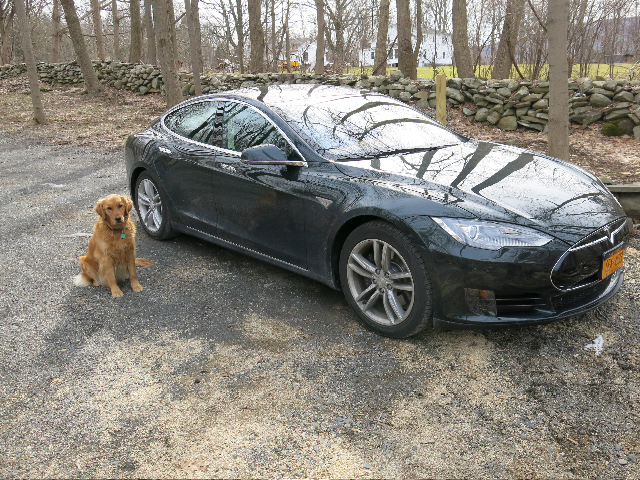 Life With Tesla Model S East-Coast Road Trip: Freeze In Slow Lane, Or Languish At Nissan Dealers? After reading George Parrott's article yesterday about his effortless 1,200-mile West Coast road trip along Tesla's Supercharger Highway, I have only one thing to say. You see, I too recently made a 1,200-mile journey in my Tesla Model S. And it wasn't quite so effortless. That's because I live in a barren and forbidding land called the Great Northeast Supercharger Desert. 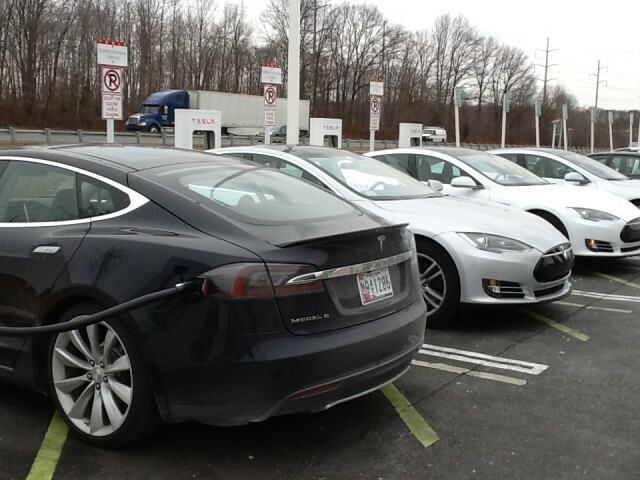 While Tesla's free DC quick-charging locations seem to be sprouting like weeds throughout California, Texas, and Florida, we parched Nor'easters continue to wander in a vast charging wasteland that essentially contains only two Supercharger stops, in Milford, Connecticut, and Newark, Delaware. Again and again, we've been titillated by promises that our long drought would soon be over. 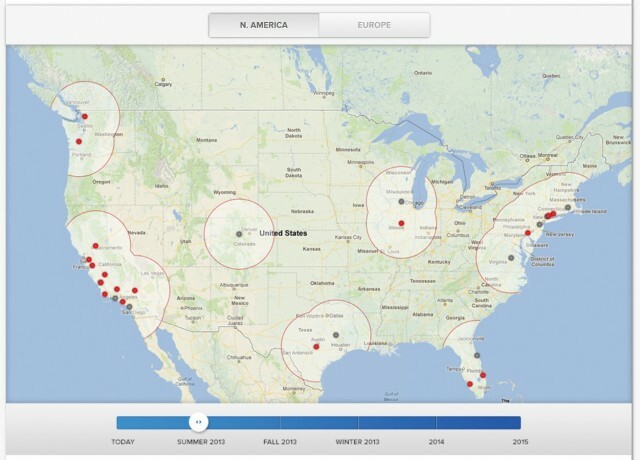 Last spring, Supercharger maps on the Tesla website promised three additional sites in the Northeast by Summer 2013. Then seven more by Fall. There's now snow outside my window. And of those 10 Superchargers promised by Fall, only one is a reality today: the redundant Darien station. For all practical purposes, the Northeast has not gotten a single useful new Supercharger for a full year. 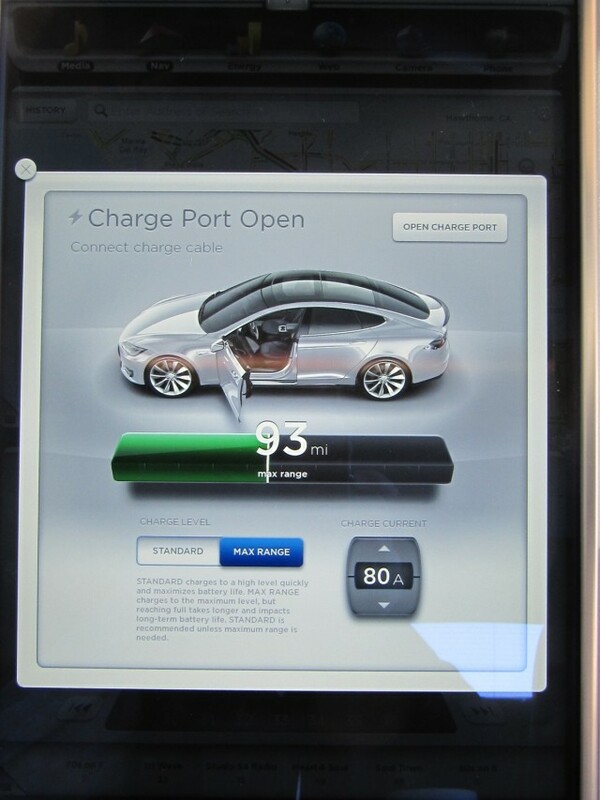 As a result, long trips in my 60-kWh Model S (which has an official EPA range of 208 miles) were virtually impossible. 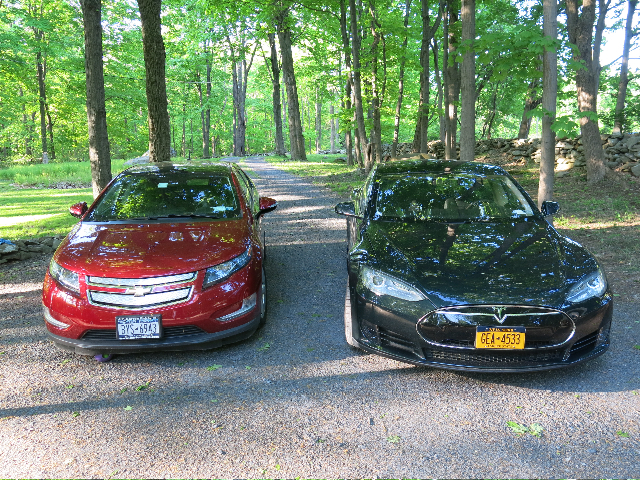 On many occasions, I've had to leave the Model S at home and take my Chevy Volt on trips to visit friends in upstate New York, Cape Cod, and Baltimore. After almost a year of ownership, I had yet to take the Model S on a trip of more than 168 miles one way. But when two good friends moved to Chapel Hill, North Carolina--550 miles away from my home in New York's Hudson Valley--my frustration only grew. The Newark Supercharger, 175 miles from my house, lay along the route to Chapel Hill--but the remaining leg from Newark to Robert and Sarah's house was 380 miles. Out of the question. 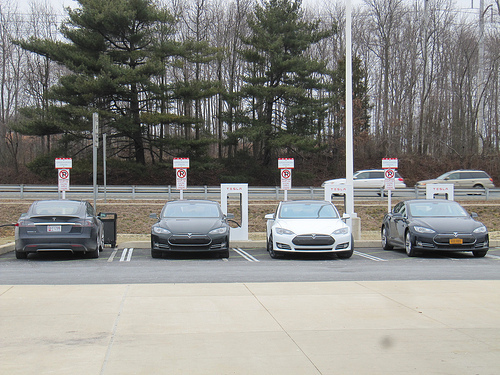 Then, in early November, Tesla opened a new Supercharger in Glen Allen, Virginia, just outside of Richmond. It is roughly halfway between Newark and Chapel Hill. A quick Google Maps session revealed that, using the Newark and Glen Allen Superchargers, I could make it to Chapel Hill in three legs of 175, 205, and 183 miles, all within my car's official EPA range. Hallelujah! But, as we all know, your EPA range may vary. And the two leading range-killers--fast driving and cold weather--would both come into play on this trip. HOT: How Did A Small Illinois Town End Up With 300 Plug-In Cars? According to the range calculator on the Tesla website, driving 65 mph at 50 degrees, with the heat on, I could expect a range of 178 miles. At 32 degrees, the projected range would be 167 miles. At the higher 70- to 75-mph speeds that I prefer, range would be even lower. Maddeningly, each of the three legs to my friends' house was just barely beyond my practical range. 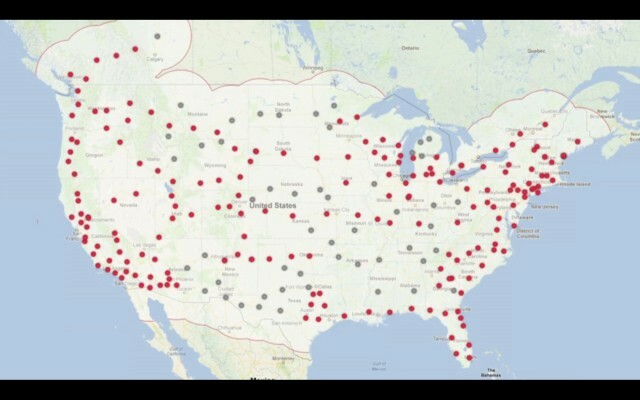 What kind of sadists does Tesla employ to select these Supercharger sites? Or is this a not-so-subtle incentive to buy an 85-kWh model rather than my 60-kWh car? Determined to outwit the sadists, I hit upon a solution. Well, it's a solution if you're really, really determined to make the trip in a Model S.
If I were a normal, sane person, I would have simply driven the Volt, as I'd done on other trips. But I took on this trip as a personal challenge. 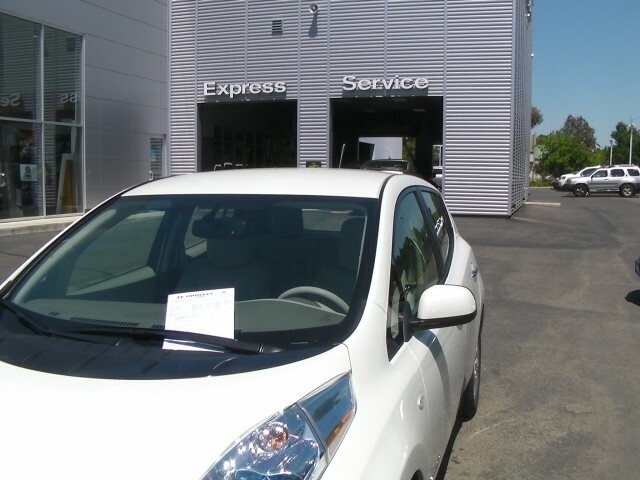 My solution was to stop at Nissan dealers along the route and, using their Level 2 charging stations for Leaf electric cars, pick up an extra 20 miles or so. That would be enough to get me to the next Supercharger. Sure, it would add three hours to the trip each way. But I'd get to arrive at my friend's house in the Model S rather than the more pedestrian Volt. I found three Nissan dealers along the route, one per leg. 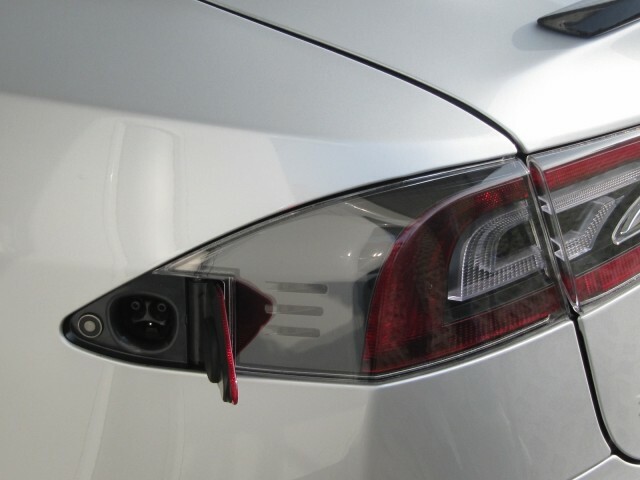 After a phone call, each agreed to let me hook up the Tesla to one of their Leaf chargers for as long as I needed, at no cost. Okay. I had a plan. Then, about a week before departure, Tesla tossed a fortuitous monkey wrench into my plan: a new Supercharger location opened in Rocky Mount, North Carolina. Although somewhat off my direct route for the third leg, it was still within easy range of both the Glen Allen Supercharger and my friends' house. 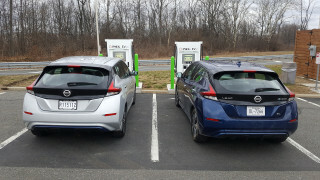 The faster charge at Rocky Mount, I calculated, would more than make up for the time I'd lose covering 40 or so extra miles to get there. I amended my route to bypass the third Nissan dealer and include the newly opened Supercharger. Starting with a freshly charged (and therefore warm) battery and a warm cabin, I'd theoretically use less power at the start of the trip. After I drove out of my driveway, with 197 miles showing on the "rated range" indicator, the car seemed to behave pretty much as it did when starting out stone cold: It used a huge spike of energy in the first 5 to 10 minutes, with the regenerative braking severely diminished. Eventually, as always, the energy consumption settled down to normal numbers and the regen reappeared. The Newark Supercharger was 175 miles away. Driving at normal Interstate speeds with the heat on, I knew my range would be far less than the indicated 197 miles. So I made my first stop after 29 miles at Ramsey Nissan, along Route 17 in Ramsey, New Jersey. The meter showed 166 miles remaining. Not bad. I plugged into a Level 2 Leaf charger, which delivered an anemic 6.6 kilowatts, and hung out in the customer waiting lounge. After 40 minutes, I'd boosted the rated range from 166 to 178. With Newark now 146 miles away, that felt like a comfortable reserve. Cruising at 70 to 75 mph, with the outside temperature up to around 50, my power consumption settled in at about 300 Wh/mi, normal for these conditions. The rated range fell a bit faster than the actual distance covered, so my cushion gradually shrank from 32 miles to 18 by the time I hit Newark. The final 18-mile cushion was 6 more miles than I'd added at the Nissan dealer, so I might have made it without stopping at the Nissan dealer. But I just didn't feel comfortable cutting it that close. Plugging into the Newark Supercharger, I sat in the car for a while and watched the rated-range number tick up every 15 seconds or so. Amazing. That's what happens when you charge at 90 kilowatts. Ahhhhhhhh. The Newark Supercharger is at a service area along I-95, with a variety of low- to medium-rent food to pick from. I had a leisurely frappucino and turkey wrap from Starbucks, and wandered back out after about 45 minutes to check on the car. After admiring the unusual 19-inch turbine-style wheels on the Model S parked next to mine, I noted that my range was up to 180 miles, and, as expected, the charging rate had slowed to about 15 kW. (As the battery got closer to full, the charging rate would slow further.) Still, 15 kW was more than twice as fast as the Nissan station. I needed every kWh for the next 205-mile leg, so my plan was to charge here at the Supercharger until the charging rate fell below 6 kW. At that point, I'd unplug and make up the deficit at my next Nissan dealer, in Stafford, Virginia. I left Newark showing 200 miles, with temperature now well into the 50s. After 144 actual miles, I arrived at Rosnor Nissan in Stafford having used only 139 miles of rated range. This time, the rated range had actually beaten reality--thanks to a frustrating hour-long, 10-mile traffic jam on I-95 south of Washington D.C., which drastically cut my average speed and hence my energy consumption. As a result, I averaged 270 Wh/mi. I charged for about an hour at the Nissan dealer, picking up 21 miles while answering questions from curious mechanics and salesmen. For the 61 miles to the Glen Allen Supercharger, I left with 82 miles of rated range, with my customary cushion of 20 miles or so. My guess had been pretty good, and the ever-warming weather helped boost efficiency for this leg to 273 Wh/mi. I arrived at the next Supercharger with 21 miles of rated range to spare, again almost exactly the extra range I'd added at the Nissan charger. The Glen Allen Supercharger had eight charging stations, four of them occupied by pickup trucks when I arrived. (It was a Saturday night, and the Chili's next door was mobbed.) I briefly considered leaving polite notes on the truck windshields--but, outnumbered, I thought the better of it. The chargers in Glen Allen were the new 120-kW versions, and the rated range meter initially looked like a pinball machine, clicking up every 10 seconds or so. I retired to Chili's and had dinner and a beer, as inconspicuously as possible. When I came back to the car 45 minutes later, the range was up to 196--far more than enough to reach the Rocky Mount Supercharger 132 miles away. And then: Uh oh. When I tried to pull out the charge cord, it was stuck. I repeatedly pressed the release button to no avail, over and over, tugging all the while. No dice. Fighting panic, I called the phone number on the Supercharger. A Tesla service rep, after suggesting several various workarounds that failed, finally advised me to just forcefully wiggle the plug back and forth. That crude ploy worked, and I was off for a relaxed, uneventful 75-mph nighttime cruise to the Rocky Mount Supercharger, which happens to be in the parking lot of a Double Tree motel. After 14 hours on the road, it was now 10 pm, and I didn't relish trying to find my way the last 89 miles to my friends' place in post-midnight darkness. Hello, Double Tree. Next morning: Hello, Robert and Sarah. Go slower to go faster? It wasn't until I was partway home on the return trip that it dawned on me there might be a better way to do this. Why not do everything possible to increase efficiency, like drive slower and turn off the heat, thereby increasing my range to the point where the Nissan stops were unnecessary? Sure, I'd lose 40 minutes driving a 200-mile leg at 60 mph instead of 75 mph. But I'd save the hour of charging time at the Nissan dealer. Net gain: 20 minutes. Duh. I tested this theory on the Glen Allen-to-Newark leg on the way back. Setting the cruise control at 60 and turning off the heating/cooling system entirely, I got the energy consumption down to a sterling 248 Wh/mi. On a sunny 50-degree afternoon, the cabin was quite comfortable, though I did feel at times that I was impeding traffic. Approaching the Stafford Nissan dealer, I was still showing 144 miles in reserve, precisely the remaining distance to Newark. So far, my rated-range decay had beaten the actual mileage; if it continued to do so, I would make the full 205-mile leg to Newark with a few miles to spare. Should I chance it? No. I chose to play it safe this leg, calibrate the energy consumption and rated-range decay further en route to Newark, and go nonstop for the final 175-mile leg home from Newark. I added about 15 miles at Stafford Nissan, and cruised easily into Newark with 26 miles left. This was going to work. That last leg home was no fun. Traveling north, now in darkness, the outside temperature dropped to about 30, and the cabin temperature didn't feel much higher. I shivered in my fleece parka. And let's just say that, loitering in the slow lane at 60 mph, I was not the most popular guy among the flotillas of truck drivers on the New Jersey Turnpike. But I was on a mission. My efficiency was holding in the 250- to 260-Wh/mi range, and by the time I reached the 125-mile mark, 50 miles from home, the RR read more than 70 miles. Confident at last, I turned both the heat and the cruise control up to 75, and rolled happily past Ramsey Nissan. I arrived home in time for a late dinner, fully warmed up, with exactly 13 miles to spare. So, what conclusions can I draw from this little experiment in electric-car obsession? 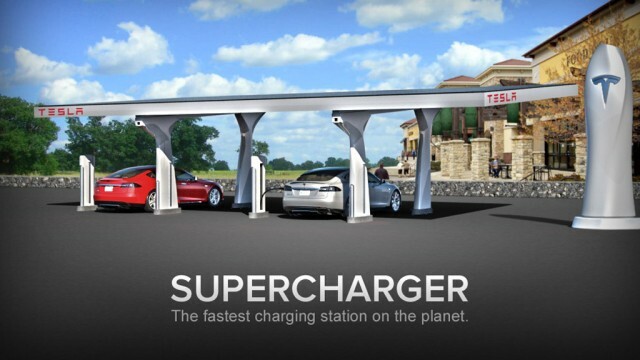 First, of course, Tesla needs to get its act together and speed the promised deployment of new Superchargers in the Northeast U.S. Freezing in the slow lane, or languishing in the customer lounge at Nissan dealers, is probably not what most Tesla buyers had in mind when they bought the car. And me? I'm suffering a bit of buyer's remorse for not ponying up the extra $8,000 to get the 85-kWh version of the Model S.
That model's EPA range is 265 miles, and even driving fast in cold weather, it should be good for at least 220--more than enough for a Nissan-free trip to Chapel Hill. My buyer's remorse flared anew when, the day after getting home, I checked the mileage to Wesleyan University in Middletown, Connecticut, which is my daughter's first choice for college next fall. It's exactly 199 miles--tantalizingly, frustratingly just beyond my practical range once again. Score another one for the sadists.